Looking for a colorful, brightly illustrated preschool curriculum that makes learning fun? Look no further. With the Horizons Preschool Student Workbook 1, you'll discover 90 captivating lessons that keep your homeschool child wanting to learn more. Whether your preschooler is learning letters, numbers, shapes, and colors or drawing what God created on day 4 of Creation, he'll love the fun-filled games, puzzles, and activities found in this softbound, easy-to-use workbook. Designed to correlate with lesson plans in the Horizons Preschool Curriculum, each eye-catching worksheet in Student Workbook 1 reinforces foundational concepts taught in the Horizons Preschool Teacher's Guide 1. 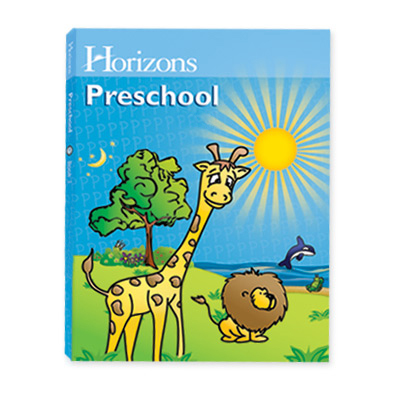 Without a doubt, your child will enjoy his early childhood education with the superior quality afforded by the Horizons Preschool Student Workbook 1. Discover this amazing preschool curriculum from Alpha Omega Publications for yourself. Add a copy to your shopping cart today!